It may still feel like summer outside, but the holiday season is right around the corner. Many businesses have already started preparing for the increased activity this time of year brings. To keep up, companies in all industries often find themselves needing to hire a seasonal staff. According to the National Retail Federation, holiday sales in 2017 reached $687 billion and are expected to exceed that by 4.3-4.8% this year in retail alone. Other industries, such as manufacturing, shipping, and call centers are likely to see a similar increase and could benefit from a boost in personnel as well. Despite the need, seasonal hiring often does not receive the same time and attention as full-time hiring throughout the year. With the tight job market, this will no longer be an option for companies looking to stay competitive. Seasonal workers, though short term, can have a large effect on the performance of your business, especially in the critical holiday months. Set yourself up for success this season by following these tips. Competition for seasonal labor is fierce. “If you’re a retailer who’s not hiring in September, you’re giving your competitors a lead on you,” says Daniel Butler, vice president of retail operations at the National Retail Federation. Non-retailers should heed his advice as well. Starting early gives companies ample time to screen for the best candidates, make the necessary internal adjustments, and be ready to hit the ground running during the holiday season. Start by assessing internally to determine where the real need is. Maybe you need associates in a retail setting, or additional salespeople out in the field. Whatever you need, determine what qualifications and characteristics are necessary in candidates to be successful. Clearly communicate those in job descriptions and throughout the interview process. Clear expectations ensure you have the best seasonal team possible and sets your team members up for success. 3. Stay Engaged Throughout the Year. Throughout the season, make notes of which team members stand out. Stay in touch with those that consistently perform well and have a good relationship with your full time team. Cultivate these relationships through the year to form a talent pool you can access each season. This simplifies and expedites the hiring process without compromising the quality of seasonal employees. Keep this in mind when hiring for full-time positions as well. Think of the season as an extended job interview that gives a clear picture of how a candidate works and how they fit with the team. If you are increasing your hiring efforts to finish the year strong, Greene Resources wants to help. 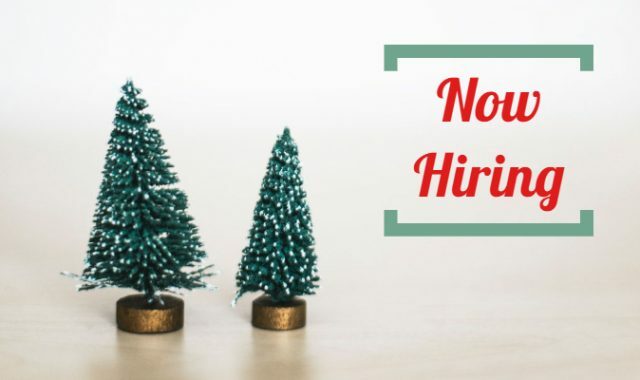 Tell us about your seasonal hiring needs and see how our recruiting solutions can fit in your holiday plan.